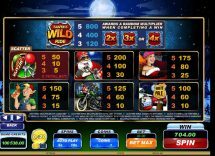 Santas Wild Ride slot is a hugely popular high-volatility 243 way slot from Microgaming. 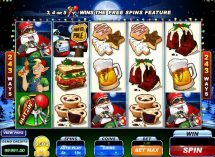 The theme is a sort of motorcycle and Christmas combined with some odd characters. 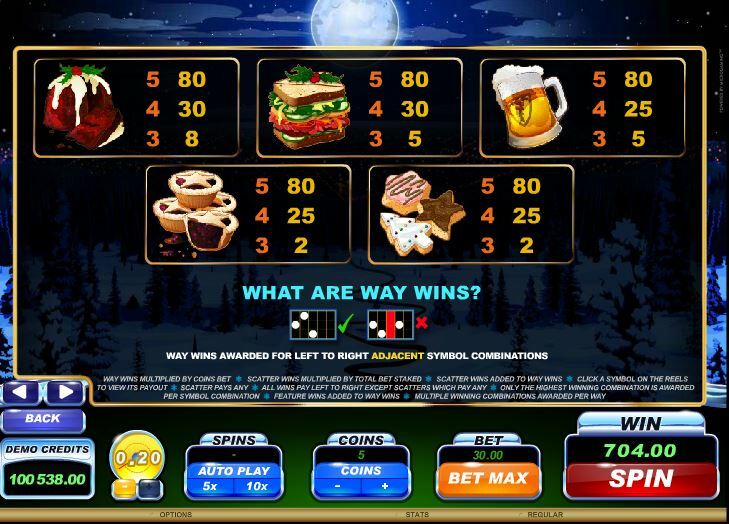 There are Wilds on all reels which will award either a 2, 3 or 4x multiplier to any win (similar to the free games in Mystic Dreams slot) they form part of. 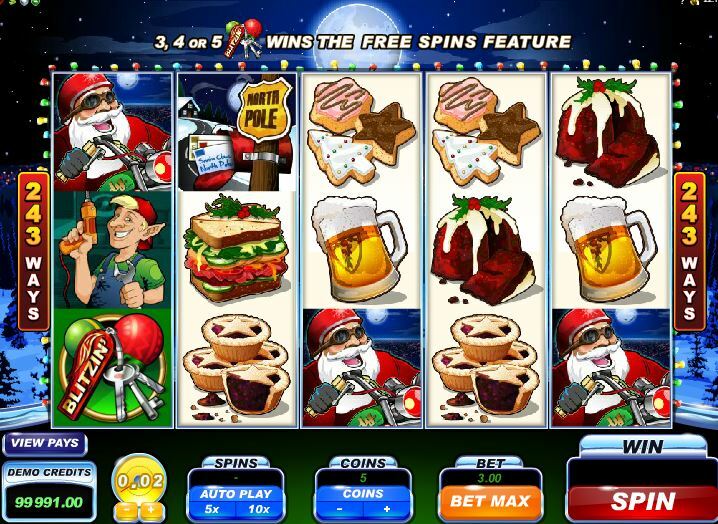 You have Santa’s gift on reels 2 and 4 which will reveal a 2x stake or more prize when it lands. 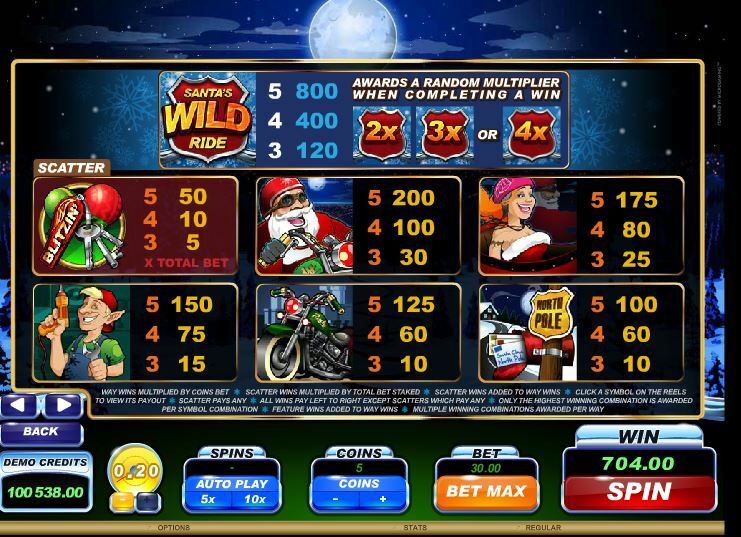 There are 3 different free spin Wild options to choose from when you land 3 sets of keys to Santa’s motorbike anywhere. 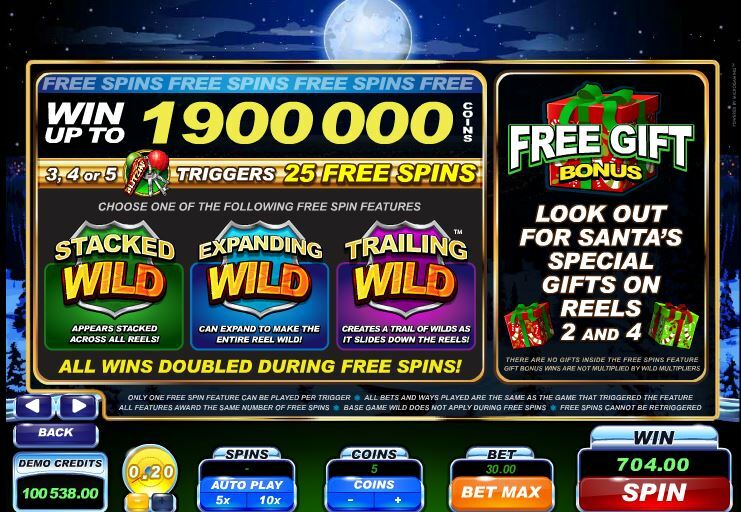 You can’t retrigger them but you get a decent 25 of them and can choose either stacked Wilds, Expanding Wilds or Trailing Wilds which create a trail of Wilds as they slide off the screen over successive spins. RTP is 96.47%.